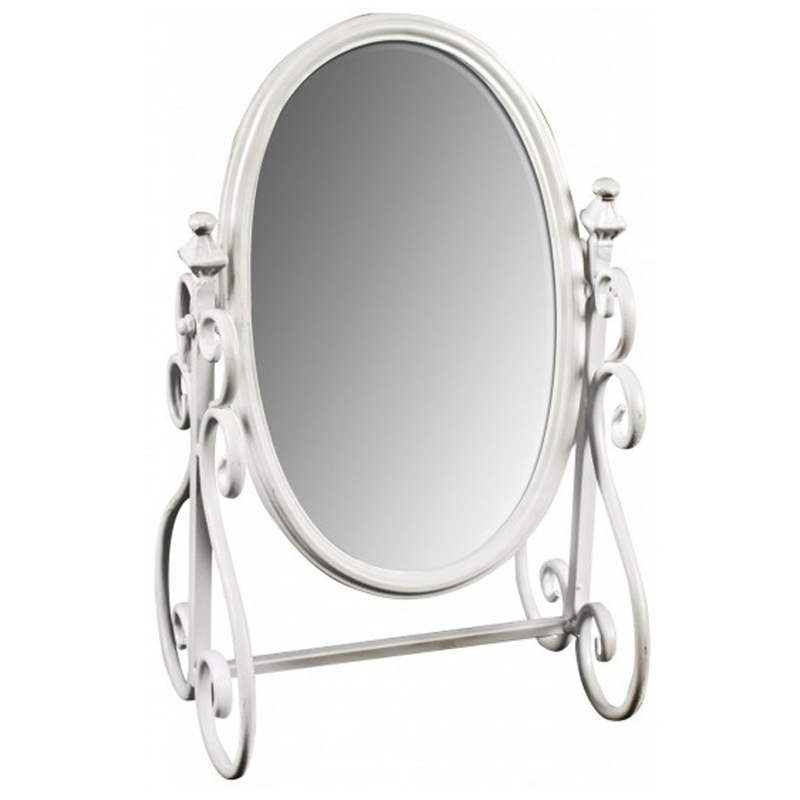 This is a small table mirror which would look splendid in any home. It has a very beautiful Vanity design which has an antique-french style. It also has a gorgeous antique-white colour which is sure to add elegance into any home. It'd fit brilliantly in a bedroom that's filled with tasteful furniture.